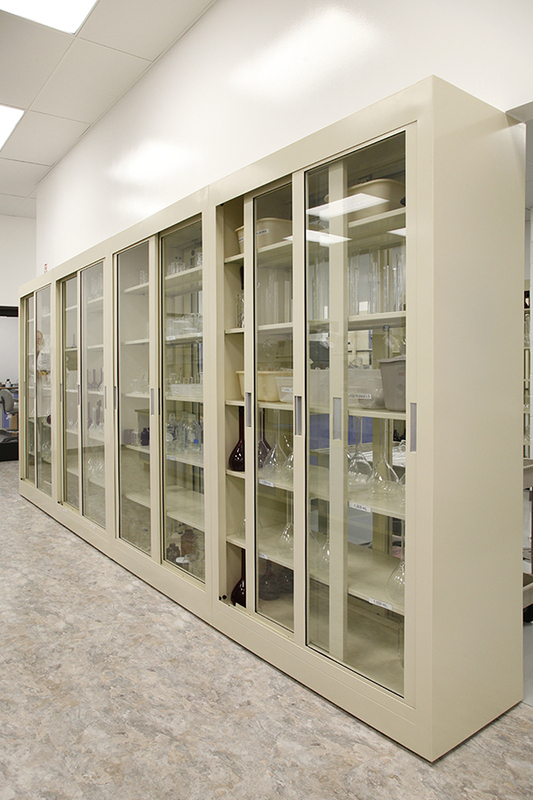 Air Master Systems’ painted steel casework is built to withstand the harshest laboratory environments. Our casework products set the standard for quality and durability. The flexible design allows our standard products to fit many applications and adapt as laboratory needs evolve. Our painted steel cabinets are available in base cabinet, hanging cabinet, or mobile casework configurations. Mobile cabinets and mobile casework are available with heavy duty, front-locking 3″ casters. We include a counter balance weight to offset the weight of an opened drawer and a solid metal back panel. Hanging cabinets are manufactured without the toe-kick and can be installed to hang on our Titan workbench and table frame products. View our painted steel cabinets product pages and catalogs and contact us for a quote.